Thread: Are there any Grilles with light bars that fit the eco? Are there any Grilles with light bars that fit the eco? 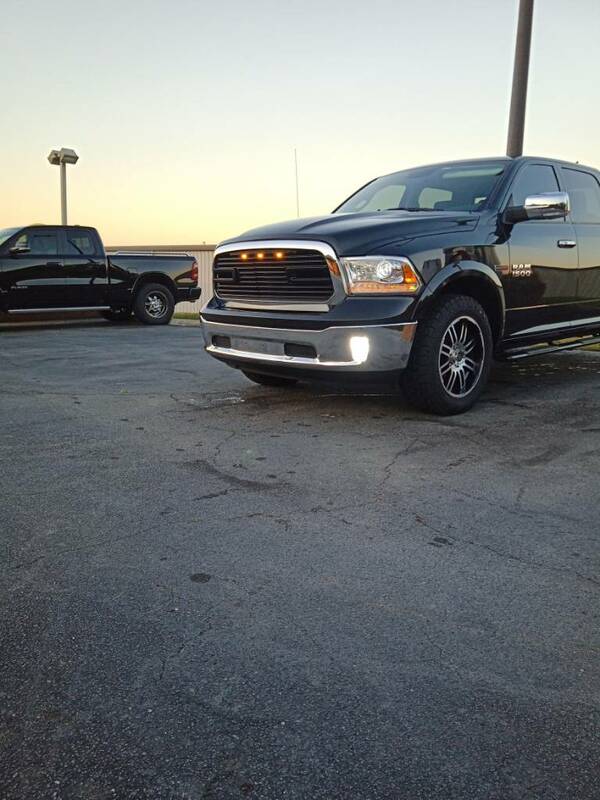 I currently have a Larmine with the chrome Ram grille. 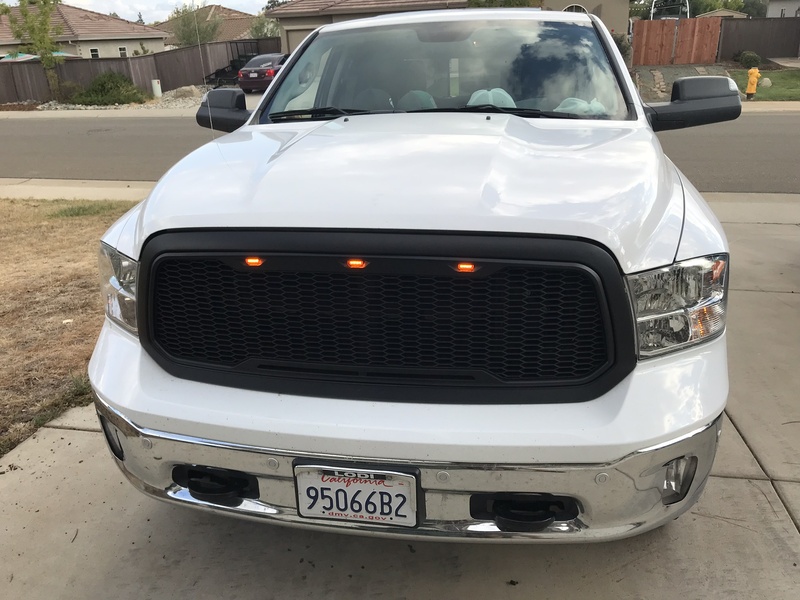 I purchased a Rough Country LED grille and it didn't fit. Is there any good alternatives on the market for our trucks with the active shutter grille? DJL_57 and SlowrTrfcKeepRght like this. I just installed this one today. Fit without issue. 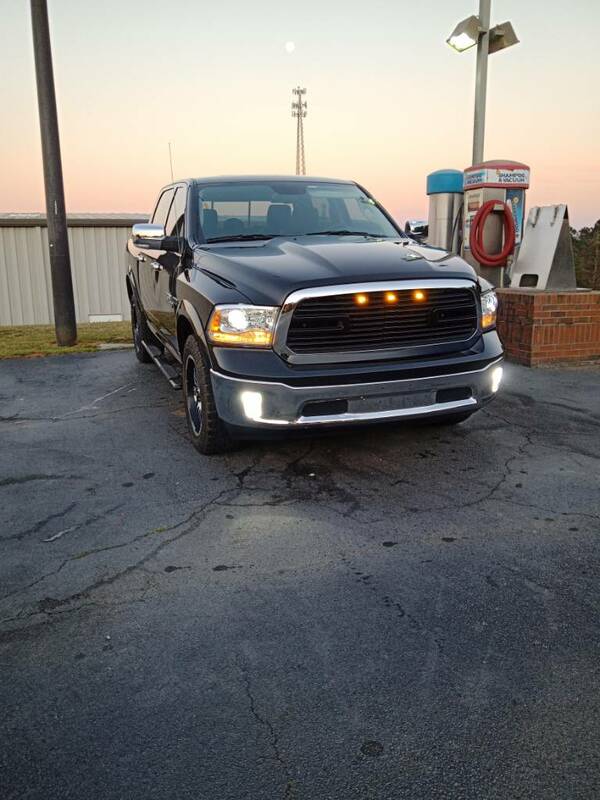 You could add light bars in the two slots if you wanted to. Please share details on this grille. 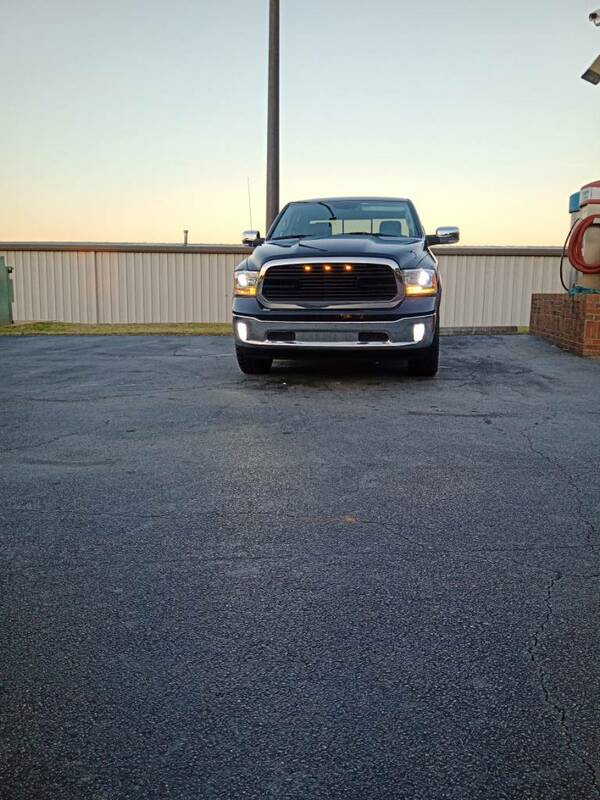 Most of the aftermarket grilles I've found are all "blackout" style but since my Tradesman has the factory chrome with a black bumper cap, I don't want so much black on the front. The chrome surround on yours looks just right. I hear you. I bought this for the same reason. I found it on eBay. Search for Big Horn II. They have a few variations. This is gloss black with chrome surround. They also have all black, all chrome and a flat black and chrome. Was it a direct drop in replacement w/o special trimming? How long did it take you to instal? If you are asking me, it took all of 1 hour including the wiring. There was no trimming, but you do have to install the brackets to the grille, they are shipped in the box uninstalled. For now I have the lights wired to come on when the vehicle accessory circuit is on. Eventually I will either have them on with ignition or with DRL.